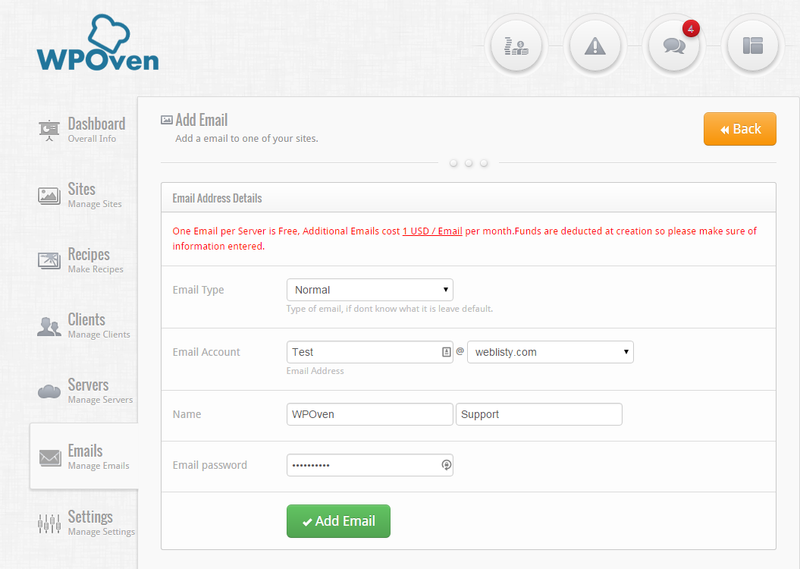 WPOven provides one free Email account with every server plan. 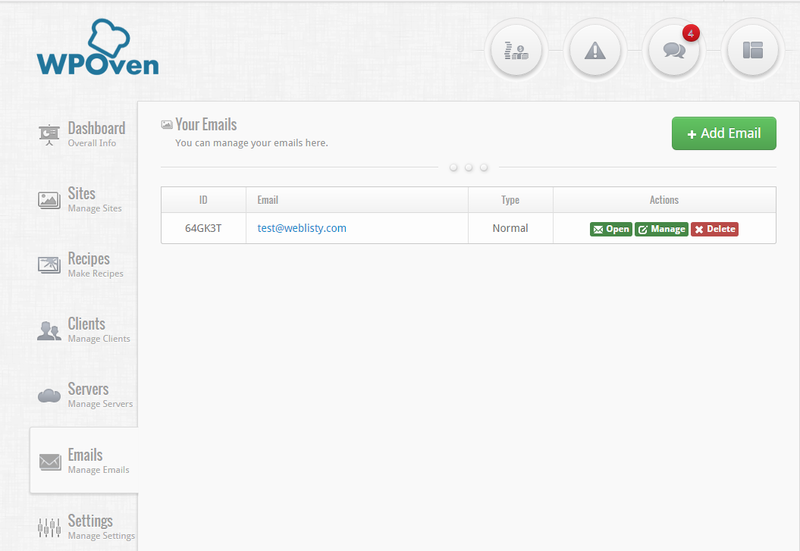 Your Email account can be setup simply by just filling a very small form. 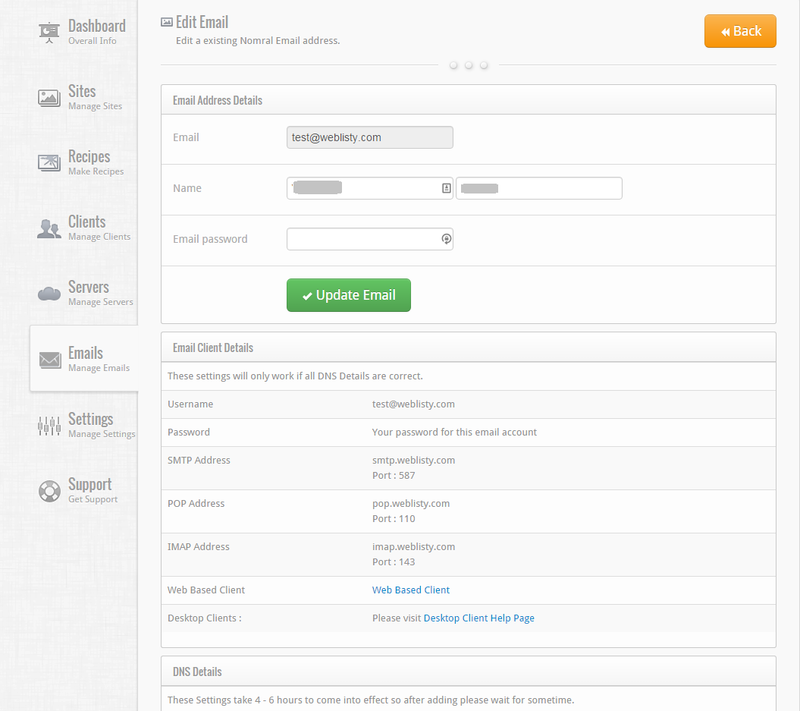 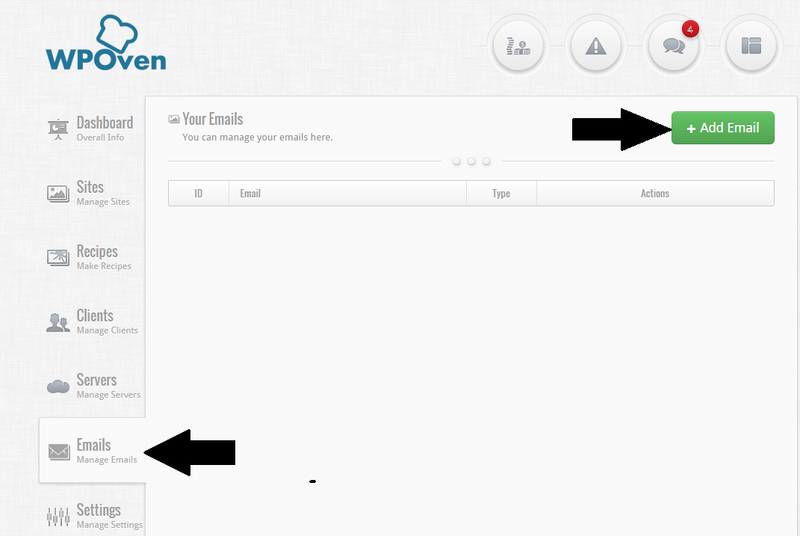 Step 1 : Login to your WPOven dashboard and click on the ‘Emails‘ tab and click on the ‘Add Email‘ button.